Dr Bruce Lipton shares how human evolution continues to rapidly occur, in this day and age. He takes us into how our conditioning has made us to believe that we are powerless, and how we have handed our personal power over to others. Baby boomers and Millennials; how they connect with and perceive the world. Conscious parenting and how our upbringing molds our belief systems and values. How our beliefs, not our genes, determine our health. Why Angelina Jolie’s double mastectomy has little to do with genetics and more to do with what she believes. Bruce Liption also debunks the popular myth that Charles Darwin is the originator of The Theory of Evolution. He informs us that Jean-Baptist Lamarck started the study of what is now known as The Theory of Evolution. 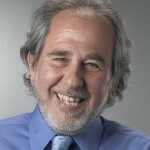 Dr Bruce Lipton is the author of; The Biology of Belief, Spontaneous Evolution and his latest The Honeymoon Effect. He is also the foremost thought-leader on conscious evolution. Watch the show below and let us know what you think in the comments. Bruce H. Lipton, Ph.D., a pioneer in the new biology, is an internationally recognized leader in bridging science and spirit. A cell biologist by training, Bruce was on the faculty of the University of Wisconsin’s School of Medicine and later performed groundbreaking stem cell research at Stanford University. He is the best‐selling author of The Biology of Belief and the more recent Spontaneous Evolution, co‐authored with Steve Bhaerman. Bruce received the 2009 prestigious Goi Peace Award (Japan) in honor of his scientific contribution to world harmony and more recently in 2012 was chosen as Peace Ambassador for the “Thousand Peace Flags” project of the Argentinian Mil Milenios de Paz. His latest book The Honeymoon Effect, The Science of Creating Heaven on Earth was published in May, 2013.